Dee Brown's eloquent, meticulously documented account of the systematic destruction of the American Indian during the second half of the 19th century uses council records, autobiographies, and firsthand descriptions. 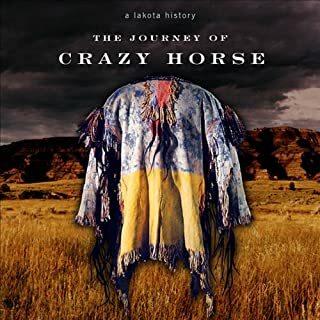 Brown allows great chiefs and warriors of the Dakota, Ute, Sioux, Cheyenne, and other tribes to tell us in their own words of the battles, massacres, and broken treaties that finally left them demoralized and defeated. 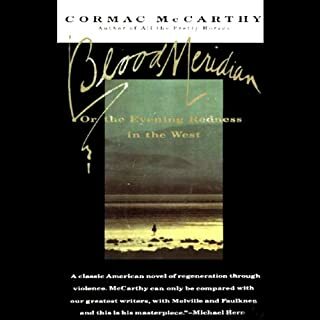 A unique and disturbing narrative told with force and clarity, Bury My Heart at Wounded Knee changed forever our vision of how the West was really won - and lost. ©1970 Dee Brown; Preface 2000 by Dee Brown (P)2009 Blackstone Audio, Inc.
Saddest story I have ever read. I weep. Nothing seems to have changed in the lives of men. We kill and are killed. We destroy and are destroyed. Can we learn and live or must we remain asleep, ignorant and die? 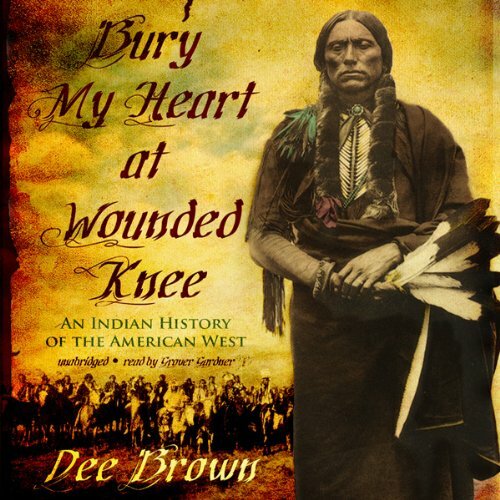 Bury My Heart at Wounded Knee: An Indian History of the American West, by Dee Brown, and narrated By Grover Gardner. I first read the history in the late 1970s. I had to stop before I finished the complete paperback. Too much sorrow. But its poignancy remained in my mind these last 30 years. So it was time to go to the book again. 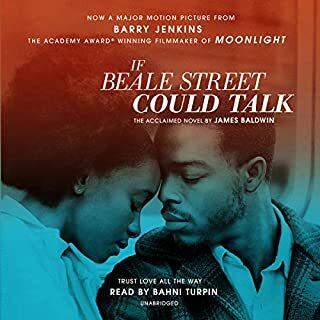 This time on Audible. Bury My Heart explains the North American Indians realized the white migrants to their land were far too numerous to withstand. So, as nations, they entered into treaties to provide themselves the opportunity to live in peace and preserve some of their traditional life. But the Americans treated the original natives as being less than human. Each treaty promise, and in fact any promise made was never given the slightest necessity to be upheld by the white settlers, their military or the political government. Not even flags of truce. More than once when a parley was asked for under a white flag, it was but an opportunity for the military to murder the peace seeking emissaries. The attitude was ever present that since these were mere Indians they could be lied to, detested, blamed without cause, abused; all done in the name of the superiority of the European genetics and a methodology for taking the bounty of the land from the aboriginal natives. The tragedy is only multiplied because those tribesmen from the Iroquois, to the Cherokee, to the Sioux, to the Apache, to the Arapaho and all the others were obligated in their own moral ethos to adhere to their word and expected the great white fathers/settlers to do the same. The settler’s lack of compunction against killing a Native American, whether a warrior, a woman, a child or an elderly is now unfathomable. When a native was found they were butchered, for any or no reason at all. The truth is, according to Dee Brown, we, the European Americans, were no better then, than Isis in today’s world. Doesn’t that surprise you? Some examples: At the Battle of Sand Creek on November 29, 1864, U.S. Army Colonel John Chivington, a Methodist preacher, freemason, and opponent of slavery set out to kill any and every Indian he could find with a 700-man force of Colorado Territory militia. In the morning hours he attacked and destroyed a peaceful village of Cheyenne and Arapaho in the southeastern Colorado Territory. His direction and undertaking was to kill and should you wish mutilate, any found Indian. An estimated 70–163 Native Americans, about two-thirds of whom were women and children were murdered. The village men were off hunting. This was not a tragedy by error, it was an intended slaughter, notwithstanding a treaty between the U.S. and the nation to which the village inhabitants belonged to. The whites had a manifest destiny and that permitted not obeying their Treaty obligations. The Indians did not have the same option. In the end, they just needed to be murdered because they were “savages,” according to the Colonel. Then there was General Philip Sheridan who in the Winter Campaign of 1868–69 attacked the Cheyenne, Kiowa, and Comanche tribes in their winter quarters, taking their supplies and livestock and killing those who resisted, driving the rest back into their reservations for no other reason than they were Indians. The Indians left the reservation because the promised lands did not provide wildlife to hunt or livestock to manage, were un-farmable and in most cases the U.S. Congress never authorized funds for meeting its commitments to supply the Treaties’ obligations to the Indian nations with promised supplies. Congress promised but never authorized. When the starving Indians left the reservation to trap food, the American whites claimed a treaty violation and the right to punish the nation for its attempts in derogation of the Treaties. General Sheridan’s two famous quotes are, (1) “The only good Indians I ever saw were dead," and (2) "Let them [the railroad agents] kill, skin and sell until the buffalo is exterminated." Should you think I have given away the tragedies in the story? Fear not. Bury My Heart has at least a dozen and a half more embarrassments to tell you about. The Indian nations left us two moral standards which we continue with today and which have become an essential part of our ethos. A man’s word is his bond and we are all humans benefiting from our gracious earth. Because they believed in a man’s word, they succumbed to the treachery of the latter half of the 19th Century American double crossing land grabs, gold diggers, and American politicians. At least, though, they left us the values of humanity and preservation of our earth. I finished the book this time. An easy read, yet a difficult chore. A wrenching introduction to this history. Would you consider the audio edition of Bury My Heart at Wounded Knee to be better than the print version? Having never read the print version, I couldn't say. It's a compassionate and sympathetic reading. Like all audiobooks it can really express that 3rd or 1st person narrative in a way that reading print does not. There's less projection of the reader into the text. I did not have an extreme reaction. 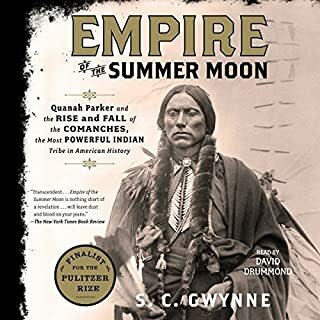 If a person is unfamiliar with the history of Native Americans and their relationship with the first generations of European settlers, this book is an absolute must-read. It is a history of peoples and societies utterly rent from lands lived upon for thousands of years, by a wholly alien invasion. It is sympathetic to aboriginal Americans, but certainly not unfair to the Europeans whose ingress unto the American continent meant the end of an epoch. 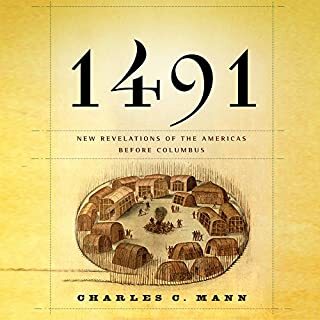 Those familiar with the history of Native American and early Europeans may find this book dated, and overly simplistic. Much progress has been made in telling the story of Native Americans since Brown published this book in 1970, but this criticism is really the ultimate compliment to an author and book that set a standard for examining US history with deep scrutiny, while challenging readers and fellow historians to dig deeper. In subsequent years, the body of literature about these topics has expanded exponentially and some of Browns most controversial theses are now accepted wildly, if not universally, but those who engage regularly with the problem of US History. 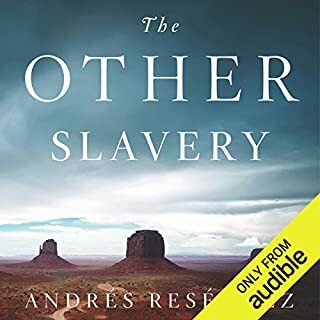 Great book, even better book for those who enjoy learning about American history and even better for those who are interested in learning about how the Natives were raped, slaughtered and had their land stolen from them. 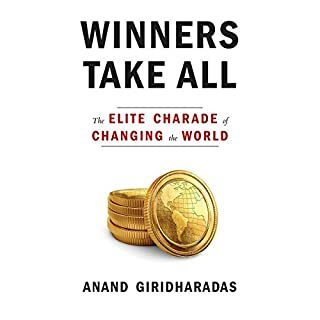 I especially enjoyed how each chapter began with a brief time line of what was going on in terms of history and curent events during those specific years that the book is discussing. Excellent narrator too! He did a great job in reading this book and captivated the listener. 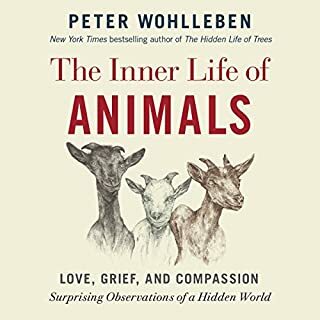 There was so much great information in this book, I will definitely need to listen to it again just to try to digest everything. What made the experience of listening to Bury My Heart at Wounded Knee the most enjoyable? 40 years after being written, it is still very relavant, and helpful to gain a historical perspective that is not commonly discussed in the mainstream. 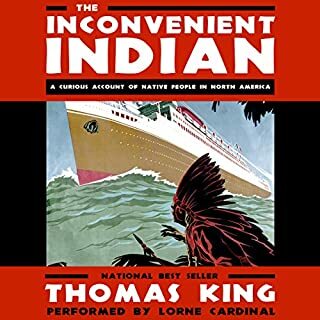 The book was well written, well read, and very specific, rather than having a pan-American Indian style of generalizing. This book is full of many real life heroes, why pick only one. 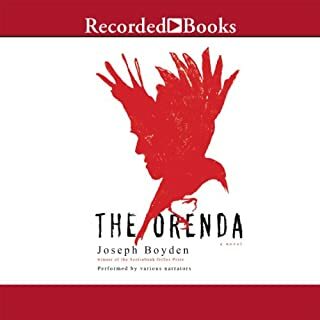 I have had this book on my wish list of reads for years, and even bought a couple copies but never got around to it (as I don't have much time to sit down and read), but thanks to it being available on audiobook, I have finally listened to it, and was not dissapointed at all. I lost many nights sleep due to not being able to "put it down" (what is the listening version to that term?). I have no doubt that I will re-read/listen to this book a few more times in my life. Dee Brown has written some other quality books, but he would deserve a reputation as one of the more readable historians on America's 19th century even if he had never written another word. 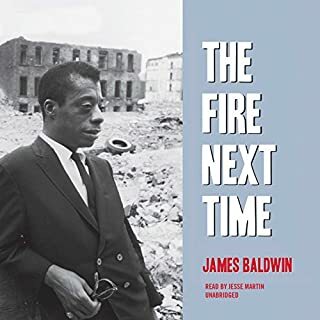 A true classic, the perspective of which was long overdue when it appeared, this book was as moving for me this year - expertly narrated by Grover Gardner - as it was years ago when I first read it for myself. The shameful treatment of native-American tribes by officials of the federal government at the highest levels, and by the military, should be impossible for any decent person to defend - if considered from the native side. No one has ever presented that side as well as Brown. His research is wide-ranging and his writing is effective. This book is a true paradigm-shifter. No one with an interest in U.S. history should fail to read or hear it. I've read this book twice so when I saw it in Audible I jumped at it. It did not disappoint for my third go around. Very engaging yet sad as to how we treated the Native peoples. 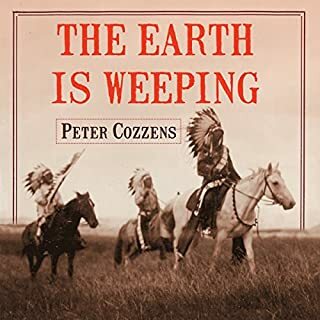 Where does Bury My Heart at Wounded Knee rank among all the audiobooks you?? ?ve listened to so far? What was one of the most memorable moments of Bury My Heart at Wounded Knee? Black Kettle's forthright position, and his subsequent betrayal. I never knew what really happened to the Indians when they encountered the White man. They sure took it hard from the Military. I will be listening to this story again. One of the great histories of the United States. Published in 1970, Bury My Heart at Wounded Knee is a people's history; a history of those who lost, ultimately everything. From the beginning, Brown declares his intentions. He wants to tell the story of the settlement of America (specifically the West) from the point of view of the Indians. "Americans who have always looked westward when reading about this period should read this book facing eastward." Is it a perfect history? No. But did it change some of the historical narratives a generation ago? Hopefully. Did it cause some to look at our myths of the West with a bit more skepticism? Hopefully. It was a hard book to read. I'd get through a couple chapters and have to digest it, put it down for a couple days. I live in Arizona. Several reservations are minutes from my house. Many of the spots in this book are places I've been. I was born an hour or two from where Chief Joseph's tribe ran from General Howard. My great, great grandfather was killed by remnants of Butch Cassidy's gang in North East Arizona, not far from where Geronimo and his fellow Apaches roamed. Another great, great father helped convince some Piutes in Southern Utah to murder (and ultimately for awhile, take the blame) an Arkansas wagon train). My roomate my freshman year in college was from the Navajo reservation (he is now an Air Force doctor), going to school on the Manuelito AND ROTC scholarship. 3. Some of the tribe would sign (because of greed or threats). 4. Food wouldn't be given, or would be stolen, and the land boundaries would not be respected. 5. Gold, minerals, farmable land, etc., would be coveted by miners, farmers, or the US Government and treaties wouldn't be respected. 6. The treaty would again me disrespected. 7. The tribe would be provoked, often slaughtered. 9. The Army would come in and slaughter more. 10. Tribes would be moved from their land, to disagreeable land somewhere distant. 11. Members of the tribe would die from illness. 12. Leaders of the tribe would become disgruntaled because of mistreatment, lies, and poor conditions. 13. Leaders would be imprissioned or assassinated. Again, history is complex. Many of the actors I respected from Civil War history had a horrible relationship with Native Americans. There were a few men in this book that indeed were heroic. White men occasionally acted with dignity towards Native Americans. But the exceptions were VERY exceptional. Often, we treated the American Indian as something to be removed, destroyed, cheated, profited off, and mostly ignored. I think some things have changed, but then I see how we treated the Navajo Nation, Hopi, Ute Mountain Ute, Ute Indian Tribe of the Uintah and Ouray Reservation, and the Pueblo of Zuni in regards to Bears Ears earlier late last year (motivation? mining). I think of how we treated the Hunkpapa Lakota, Sihasapa Lakota and Yanktonai Dakota in regards to Standing Rock early in 2017 (motivation? oil). I think not much has changed. We now don't destroy Native Americans with guns. We either ignore them, dilute them, or just continue to take more and more. Having come from a military family of helicopter pilots and calvary officers, I've always found it ironic how the Army now mythologizes the American Indian. From slogans like "Hoka hey!" (usually misattributed to Crazy Horse, but actually uttered by Low Dog). "It's a good day to fight. It's a good day to die." Just counting the helicopters my brother and father-in-law flew, there are Apaches, Blackhawks, Kiowas, etc. Many live and train on bases that were formerly used to fight or house captured Native Americans. It is a weird reverence/respect for an "enemy" the US Army nearly exterminated in the late 1800s. It is odd. The easiest expanation for me is we reverence (in certain areas) the American Indian, so we don't have to feel guilt for our Nation's treatment of and our Nation's responsibilty for what we did to the various tribes of Native Americans. It's a sad, well written story. Very good book, I recommend it.